Last week, three French Air Force Rafale jet fighters landed at the Air Force Station in Gwalior with a view to conducting joint operations with their IAF counterparts. The French contingent was in transit after having participated in the multi-nation combat exercise named Pitch Black held in Australia in which IAF Sukhois had also participated. On this occasion, the French Embassy lauded the depth of the Indo-French strategic partnership and the trust that prevails in the relations between the respective armed forces. Neither the French Embassy nor their contingent in Gwalior would have been unaware of the political slugfest that has embroiled the name of the Rafale fighter and silently wondered whether their hosts actually understood the vital strategic potential of the proposed Rafale weapon system in the shadow of a nuclear threat environment. The French would not have been the only ones to be so confused. We also had the first 2+2 dialogue being held between the Indian Foreign and Defence Ministers and their respective US counterparts where the future direction of the evolving strategic partnership would be under discussion. At that session, it would be the US government teams, conscious of the Rafale controversy, who would wonder whether some of the past procurements through government-to-government programmes with the US like the C17 heavy-lift transport aircraft, C 130 Hercules, P 81 Maritime Reccee aircraft, Chinook heavy-lift helicopters and others, along with their offset obligations, could fall prey to a similar controversy, thus harming their reputation. Clearly, the ominous cloud of daily political recrimination must have cast a deep shadow not only over the skies of Gwalior, but across IAF crew rooms and messes, deeply undermining the confidence and morale of the force. This would perhaps explain why the IAF leadership was compelled to take the unprecedented step of making public statements, indirectly jumping into what is essentially a political fray. The VCAS or Vice Chief of the Air Staff responsible for operations, when questioned, termed the Rafale a 'very capable aircraft that will give India unprecedented advantage over its adversaries, a capability that was needed very quickly'. The DCAS or Deputy Chief of Air Staff, who as head of Plans and Procurement would have intimately been involved in the entire process, went a step further and countering allegations of any wrongdoing said "What is being alleged does not match with facts at all." On the question of higher costs, he clarified, "I can tell you that the Rafale that we have gone for is substantially lower than the price that was on the table in 2008." And finally, on allegations that the offset contract had been awarded to certain private players, he said, "The facts on record indicate that there is no truth in those allegations." It needs recalling that similar sentiments were expressed by the Chief of the Air Staff late last year and repeated in Adampur in July. Clearly, the IAF leadership appears concerned that this public slugfest is having an adverse impact not just on the morale of the force, but their confidence in the professional integrity of its leadership as well. Unknown to those who hold forth daily in TV studios and the media and more importantly, their minders, what should have been a giant strategic step forward in the modernising and strengthening of Indian air power is turning out to be unsettling and self-defeating. If combat pilots across our northern and western frontiers are chuckling, we have only our politics to blame. As if to remind the nation of the dire straits that the IAF finds itself in, flying obsolete platforms amidst a declining combat force level, the IAF has these last three months lost two MiG-27s, one MiG-21 and one Jaguar aircraft with the sad loss of two lives. A cruel reminder of the shape of things to come. Unmindful, the sterile debate rages on, demonstrating that political one-upmanship means far more to our democracy than the operational capability and safety of our armed forces. Ironically, even as the government is being accused of favouring a private offset partner, Tata Advanced Systems and Lockheed Martin Corp have announced an agreement whereby TASL will manufacture in Hyderabad wings for all future Lockheed F-16 customers. This should have been a matter of jubilation for our Make-in-India efforts. Instead, since Lockheed are also amongst the potential bidders for a new IAF tender, they have been defensive and declared that this agreement is not contingent on the success or otherwise of that bid! Clearly, international weapon system suppliers are mindful of having not only to compete in the technical and commercial domains, but in a political minefield as well! The price issue is a red herring and cost comparisons to be meaningful must be based on the total system cost on a like-to-like basis. This would need a detailed cost benefit analysis by a body of specialists, who would still be left guessing about weighing operational value, not readily quantifiable monetarily. One example is the commitment to providing product support for five years, ensuring 85% fleet availability in the IAF's operating conditions. None, including HAL, have ever committed to such an in-service operational fleet availability. In an unprecedented low, a petition has recently been filed in the Supreme Court by over 300 serving army officers, JCOs and NCOs on issues relating to their duties in disturbed areas and the dilution of AFSPA. Close on its heels, we are now witness to another low point where the highest IAF leaderships have been compelled to wade into a political controversy in order to shield their force from its corrosive and negative consequences. The world is witness to nations where their militaries have undermined democracies. Indian democracy seems determined to be experimenting with the reverse. Time for the nation to pause and reflect. 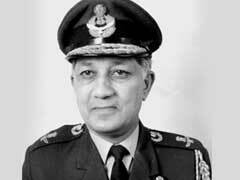 Air Marshal Brijesh D. Jayal (retired) is former Air Officer Commanding-in-Chief of the South Western Air Command, Indian Air Force.